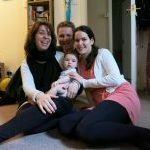 As a doula in North London I can offer you prenatal guidance as well as emotional and practical support during birth and/or in the postnatal period. The birth of your baby is probably going to be the most memorable time of your life. I am here to help you prepare for the event so that the birth-day, and/or the first few weeks after the birth, can be the most enjoyable and comfortable moments. I often hear parents-to-be say how confused they are about all the contradictory advice they hear and receive. My role is to help you find your voice, understanding the various options around birth and/or the postnatal period including baby development. I focus on helping you gaining clarity and confidence so you can calmly make the choices you want to make while enjoying this special time. The support I provide as a doula in North London is discrete, calm and respectful of your own choices. Supporting and nurturing you and your family so you can look after each other. Individual support to approach the birth of your baby calmly and confidenlty. A calm, discrete, comforting and encouraging presence during pregnancy and birth. Supporting parents, nurturing you and your family. For a smooth and confident start to breastfeeding. Kind words from new parents. Care without agenda, judgement or expectation. Less likely to have medical interventions during labour. Less likely to feel the need to request pain relief. More positive outlook on birth. More in control and satisfied in the postnatal period. 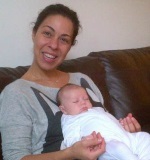 As a Doula in North London I cover Barnet, Enfield, Haringey, Islington, Hackney, Waltham Forest. I am a fully qualified massage therapist (BTEC NVQ4) regularly practicing since 2008. Specialising in pregnancy massage, with two diplomas in massage during pregnancy. My experience today allows me to also treat women in their first tremester and ‘high risk’ pregnancy. Pregnacny Massage Diploma, full body and abdominal. I learn and grow everyday, always taking time to reflect on my practice. I have a long personal history of meditation, Qigong and Yoga practice as well as being passionately interested in nutrition and Anatomy& Physiology. I constantly read on the topics of anatomy and physiology, birth, child development, parenting and take any opportunity to listen to world leading speakers and educators on those topics.